An anthology of stories and extracts from novels, with commentaries decade by decade. 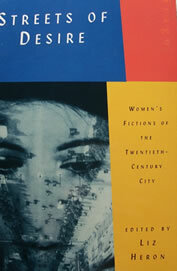 These fictions illuminate the 20th-century city, as women explore new freedoms, encounter politics and cross cultural frontiers. Alongside the great European capitals are Leningrad and Lagos, Tokyo and Shanghai, New York and São Paulo. The writers include Ingeborg Bachmann, Djuna Barnes, Angela Carter, Lidia Ginzburg, Toni Morrison, Dorothy Parker, Flora Nwapa, Jean Rhys, Christina Stead and Virginia Woolf.